We are so blessed for the opportunity that was given to us in participating at the Doodle4Google Awarding ceremony at their headquarters. Google was kind enough to accommodate all the four of us. They initially told us that only 2 will be able to participate to the activities that was lined up that day. Imagine, how happy we were when we were told that all the four of us can attend the next day. We were like, YEAH, thanks Google! I would have missed the beautiful headquarters if we did not get to go. We certainly enjoyed every moment we have spent there. The employees were very friendly. I hope that more and more families can enjoy what Google has to offer, lots of fun and education! Your home is the place you get to relax, spend time with your loved ones, and follow your passions. There is no better way to make your home a tranquil place than by freshening it up and breathing new life into it, inside and out. Follow some of these simple tips and make the most out of your home. Nothing will instantly freshen up the home like fresh air and light. Put down the air conditioner remote and throw open your windows and doors to embrace the natural environment around you. If you’re concerned about security, have your home fitted with special security doors and screens that won’t impede your view or let the insects in. Check out the range available from an expert company like Stylewise Security. Companies like this often sell great awnings and blinds that can accentuate your windows as well; click here to get some window dressing inspiration. If the paint inside is looking a little tired, it might be time to have your home repainted. Creams, light pastel colours, and very light ceilings will make the room appear larger and give the space a light, refreshed feeling. Combine this with open spaces – keep the furniture to the walls with a single item in the centre of the space – and you will breathe easily with the sense of space around you. The rusting brass-framed portrait of your great-great-grandfather’s favourite country club may have sentimental value, but it’s not doing anything for your home’s refreshment mission. Know what interior design elements are keeping your home feeling old and find a safe spot out of the way for them. Opt for large, singular pieces of art that complement the surroundings. If you have pastel-coloured, untextured walls, opt for a large, bright and three-dimensional painting that will draw the eye. Nothing freshens up a home like a good spring clean and nothing will make you feel better once it’s done. So roll up your sleeves, pop on your favourite music, and pull out the scrubbing brush. Once you’re finished, go pick some flowers from your garden and put them in the centre of your living room, then sit back with a cup of tea and enjoy your refreshed surroundings. A very on-trend and surprisingly refreshing option at the moment is to get outdoors, even when you’re indoors. Whether it’s a beautifully scented indoor herb garden or your very own blooming indoor shrub, bringing outdoor elements inside can help you feel invigorated and close to nature. Find some plants that won’t drop leaves indoors and need minimal fuss. If you’re not sure that your green thumb is up to the task, you can always just opt for fresh flowers – just don’t leave them too long as dying flowers won’t make your home feel fresh at all! These are just a few ideas for freshening up your home, but the suggestions can be endless. What is the most effective thing you’ve done to keep your home feeling welcoming and new? Share your best tips below and let the home rejuvenation begin! During our tour in Google Headquarters in Mountainview California, we got the chance to see their Self Driving Car. They took us out of the building overlooking this beautiful hill nearby. I love the ecollective van that is displayed in their parking area that says "Recycle your unwanted electronics, it's safe, easy and free." It reminds me of the electronics stuff we have here at home that we no longer need and use. I wish I could recycle them but the problem is I don't know how to erase personal information in it that I am scared to send it to recycling place. Anyway, we learned a tad bit if information about the self driving car that Google is trying to develop. I mean, how cook is that! It might just be the perfect car for me since I hate driving hahaha. We had a blast during the tour. Too bad, the battery of my camera did not last very long so I have no pictures for the rest of the tour. I am so glad that we all went as a family even though it dented our finances but it was definitely worth every cent that we spent. Thanks also to Google for letting us all come during the awarding as opposed to two-person only attendance. What do you think of the Google's self driving car? Would you let the car drive for you or you won't be comfortable with it? Trying to keep fit during the winter season is quite hard especially when you love outdoor activities like me. It's frigid outside but I still go for a walk once in a while when I can, just because I enjoyed doing fitness activities outdoors, it is more enjoyable unlike doing it indoors. I have three machines that I could use at our home gym but it just get boring to go down there and stare at our four corner walls. Outdoors, you'll be able to enjoy the beauty of nature but I am still glad that I have equipment to use down there. I don't go to the gym because I am not comfortable working out with a lot of people around. 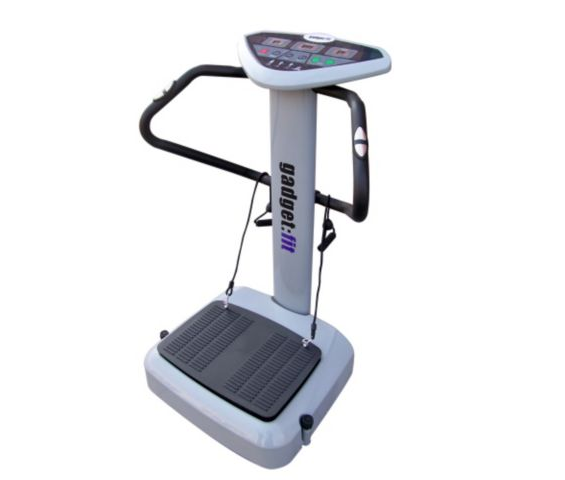 The disadvantage of that is not seeing a lot of fitness equipment like this Vibration Trainers that I saw online. I work in the military base gym before but I don't remember seeing a machine like this . "A 2009 study by the University of Antwerp in Belgium and Artesis University College seems to show that vibration plates do work. In the study, obese women who followed a healthy diet and exercised using vibration plates lost more weight long-term, including more hard-to-lose belly fat, than women who followed a healthy diet and conventional exercise." But just like any other things or fitness equipment for that matter, this also has its cons. Although the above-mentioned study worked, there has been injuries reported such as back pain and cartilage to possible brain damage from the shaking. I think that before buying this machine, you have to consult your doctor for your overall safety just to avoid any problem.